Apple is taking iPhone 6 Plus owners on somewhat of a roller-coaster at the moment. After initially announcing that $29 battery replacements are now in place, the company then issued an internal memo to retail stores and authorized service providers informing that iPhone 6 Plus batteries wouldn’t be in stock until early April. However, if you are in dire need of iPhone 6 Plus battery replacement, then it is possible to go at it without Apple’s help. iPhone 6 is the oldest device that Apple currently extends its $29 battery replacement program too. That means that there are likely going to be plenty of iPhone 6 and iPhone 6 Plus owners who are experiencing terrible battery life, much to their frustration. Given that Apple can’t find any replacement 6 Plus batteries until late March/early April, those device owners really only have a few options; either sit patiently until that stock is replenished, suffer in silence and deal with the terrible battery life and performance restrictions, upgrade to a newer device, or perform the operation on the device themselves. If you’ve waited this long, then the chances are that you aren’t simply going to part with a ton of money and upgrade. And if you’re reading this, then it’s unlikely you’re going to sit and suffer until Apple is ready to furnish your requirements. That pretty much leaves just getting the necessary equipment and replacing the battery by yourself. Now, that may seem pretty daunting at first, especially considering Apple’s devices aren’t exactly simple to get into. 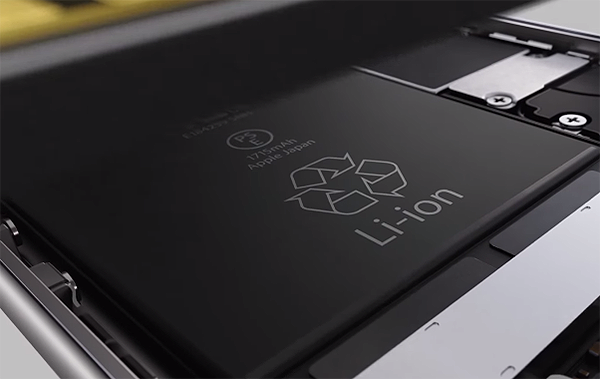 However, the wonderful iFixit team have a comprehensive process on how to replace the iPhone 6 Plus battery, classifying it as a “moderate” level of difficulty. It comprises of approximately 28 individuals steps, should take between 15 and 45-minutes depending on your level of technical proficiency, and requires you to have a few specialized tools designed to help you get into the iPhone and access the more intricate parts. 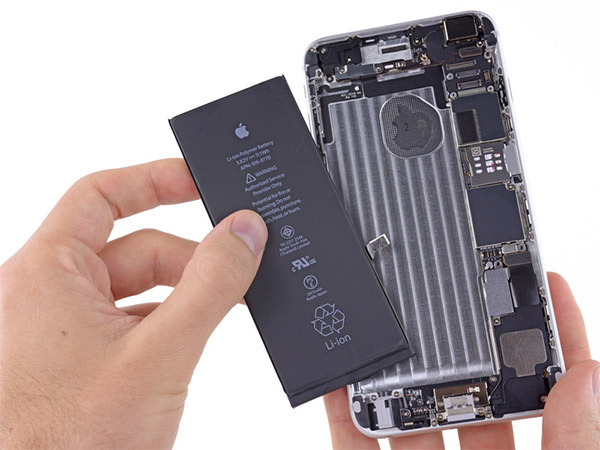 There will also be a financial outlay involved to purchase the battery, adhesive strips to hold it in place, and a connector bracket, but the thing about iFixit battery packs is that not only does it costs just $25 (less than Apple’s offer), it also comes with all the tools required to do the job! So, really, you should be up and running with a brand new iPhone 6 Plus battery within 45-minutes provided you are willing to do it. Of course, if you don’t want to take the risk yourself, then it is possible to find a localized dealer who can replace the battery for you, but this could take the cost back up to Apple’s original $79 replacement but without the warranty and guarantee that Apple provides. Check out the entire walkthrough over at the source link below. And void any warranty in doing so. For once they were competent enough to put that in their article albeit barely at the very end. Unless they paid for Apple care most that need a new battery are probably beyond the warranty period anyway. But good looking out. Definitely not a small issue that most people would miss and screw themselves doing so. Once again this reiterated the fact that the battery throttling was a coverup. Don’t have a supply to resolve the issue…you were just using the battery issue as an excuse. SHAME ON YOU APPLE. And where do you get the knock off cheap Chinese battery in the first place ? I’m not bashing Apple etc but android phones use li-ion batteries and iv never heard of Samsung or HTC throttling users with poorly batteries. To be fair iv never had an android phone turn off at 30% but every iphone if owned at some point the battery had a hissy fit and turned the phone off. That being said one can still purchase a new iPhone 6 or get on on a phone contract so caution still needs to be applied. The whole “Throttlegate” thing is yet another argument for user-replaceable batteries. I’ve never been a fan of the sealed phone design for the sake of sleekness. Not just sleekness. These designs help with water resistance too but I agree with you. Li-ion battery is not a new thing. We know it degrades fast. Easy access to replace batteries makes sense…unless you sell a product that you can charge $79 for a service as easy as replacing a battery. I ONLY buy components from iFixit. They are trustworthy and stand behind their stuff.